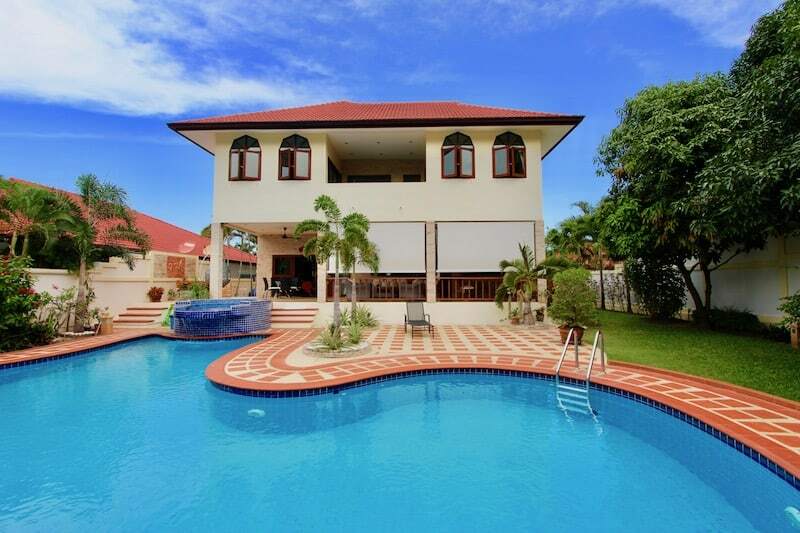 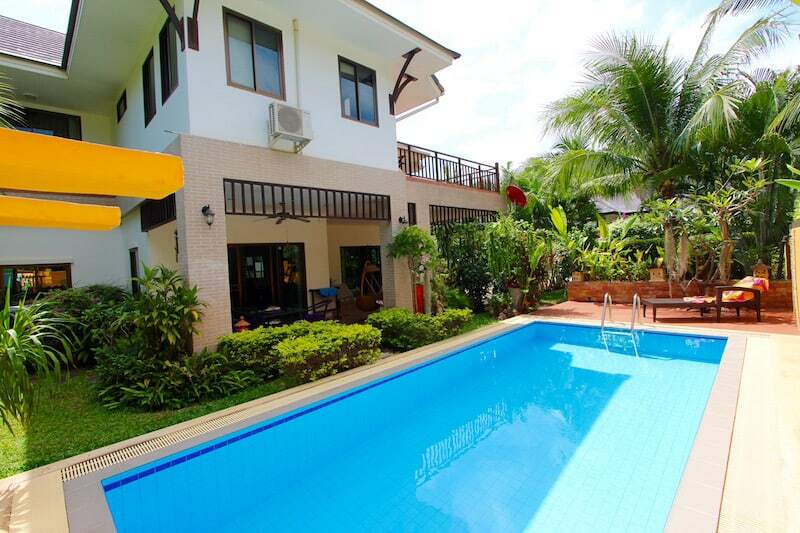 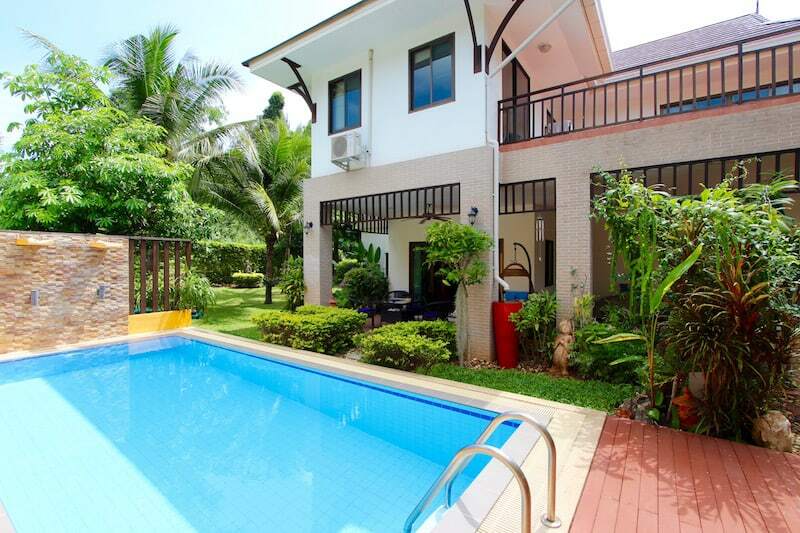 LOVELY HUA HIN HOME FOR RENT IN KAO TAO WITHIN PRIVATE DEVELOPMENT. 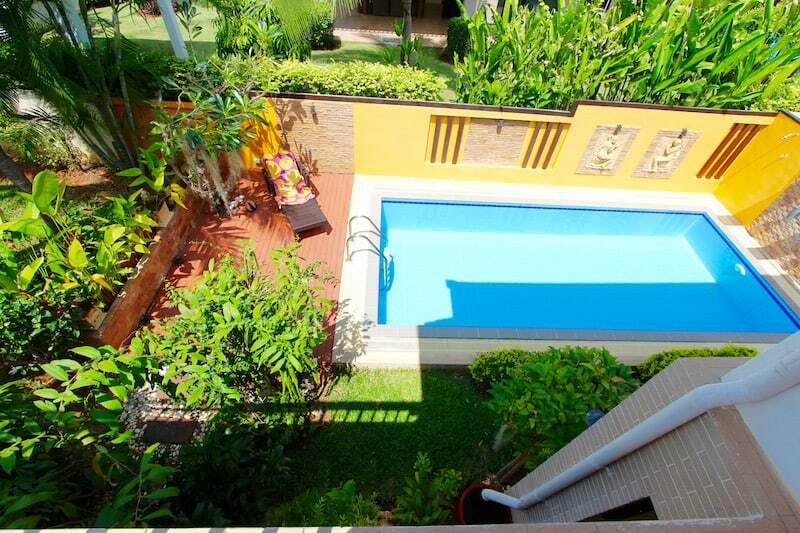 This home is offered fully furnished with nice furnishings, a beautiful garden, private pool and covered terrace. 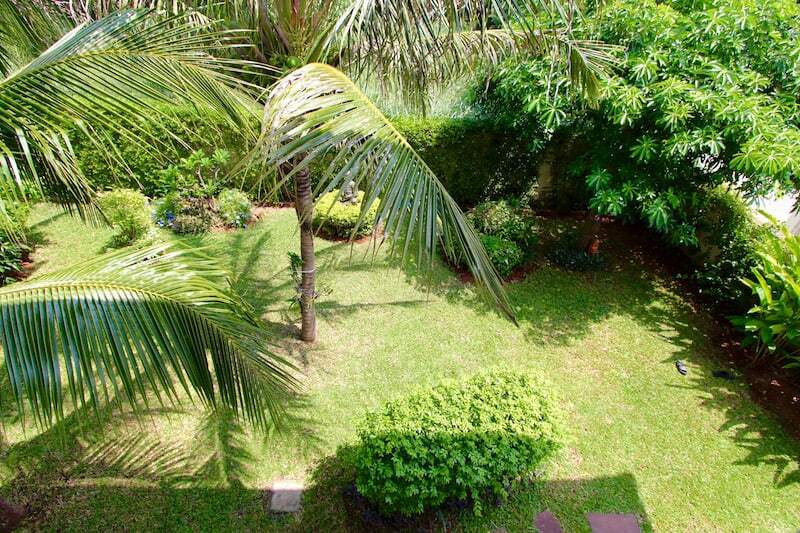 Probably the most beautiful feature of the house is the mature garden with large trees, lush grass and plenty of shaded areas. 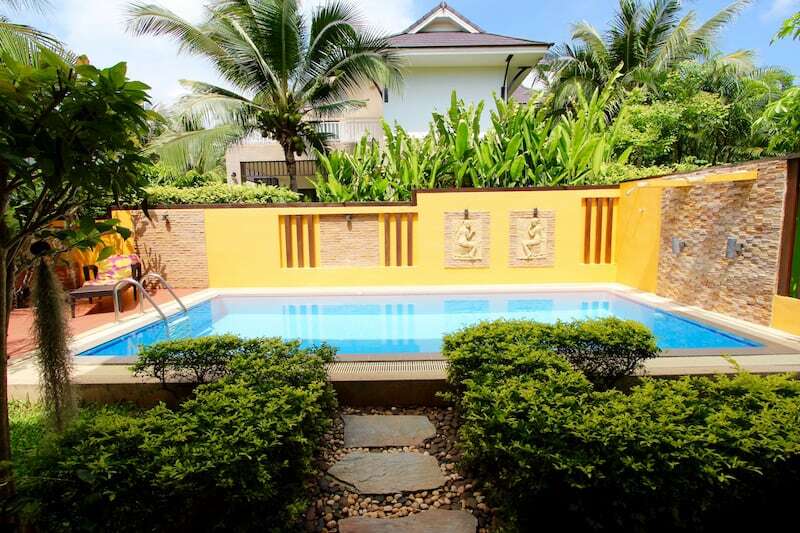 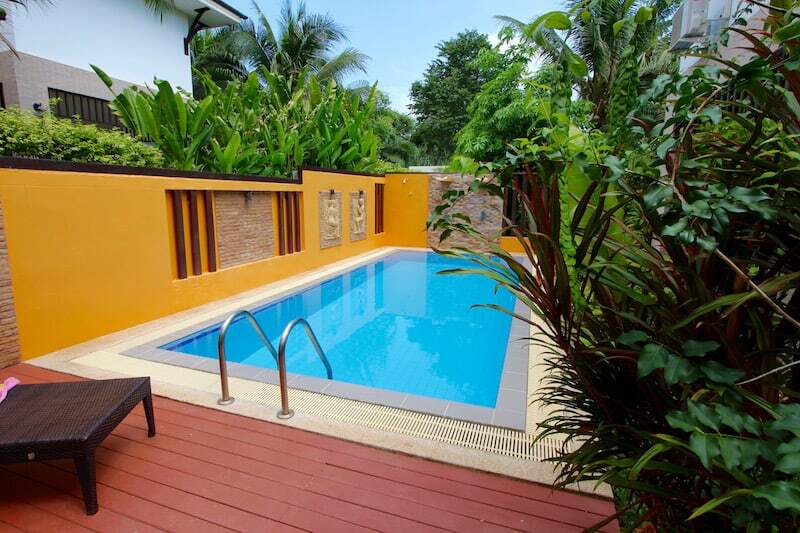 The pool has a colorful, cheerful surrounding wall and wooden deck for privacy and lounging. 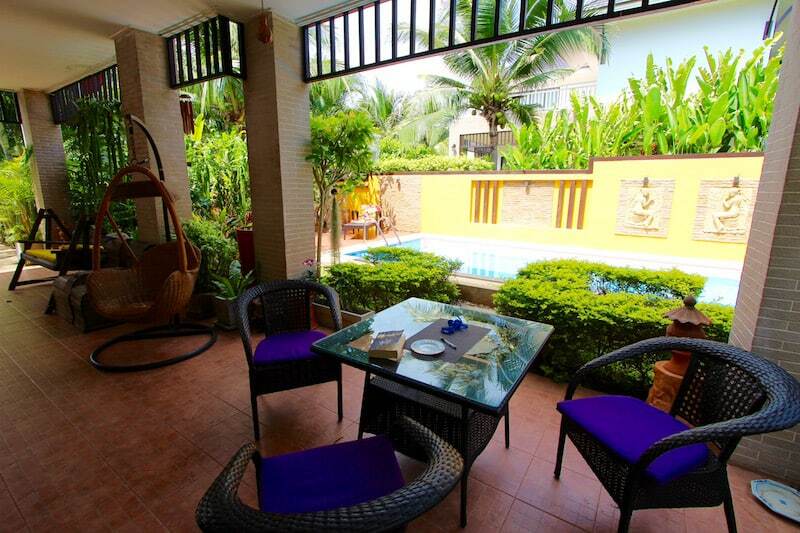 There is a small covered terrace off the pool for dining and relaxing, perfect for sitting with a good book and cold drink. 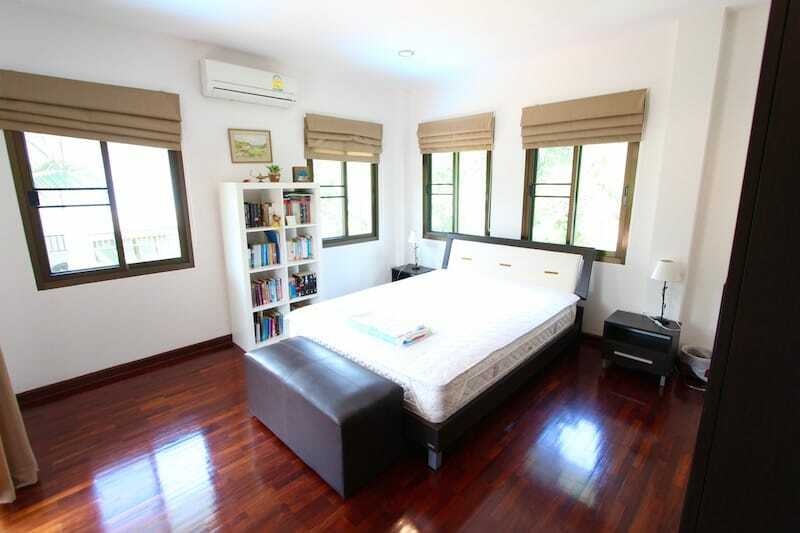 The home has 3 spacious bedrooms upstairs. 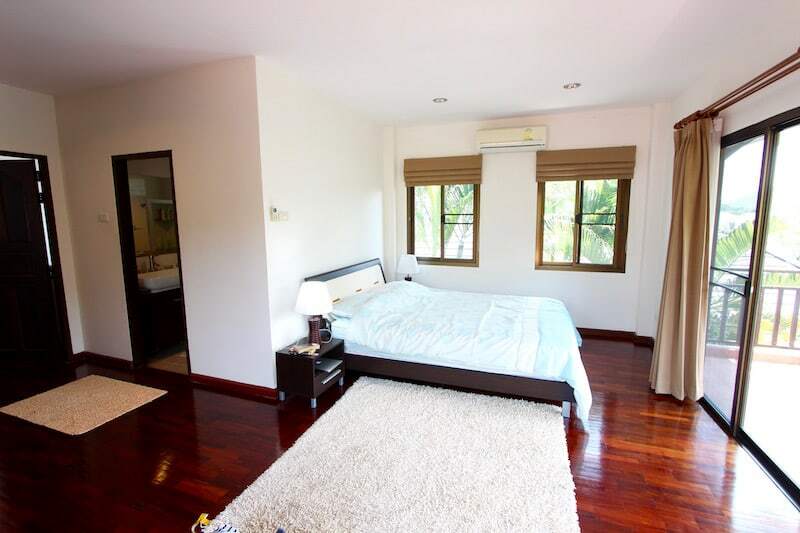 the master bedroom is large with a full wardrobe, a small vanity, direct access to the rooftop terrace, and an en suite bathroom. 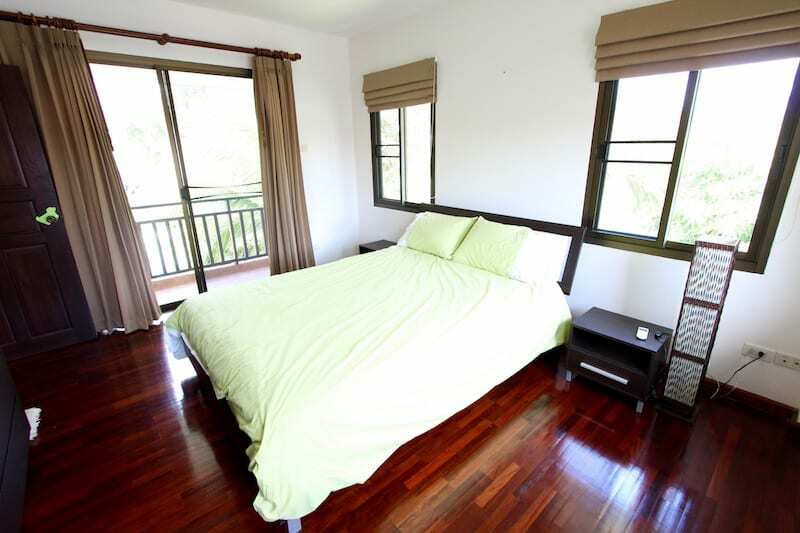 The two guest bedrooms are fully furnished and each have spacious wardrobes and access to the rooftop terrace and a small balcony. 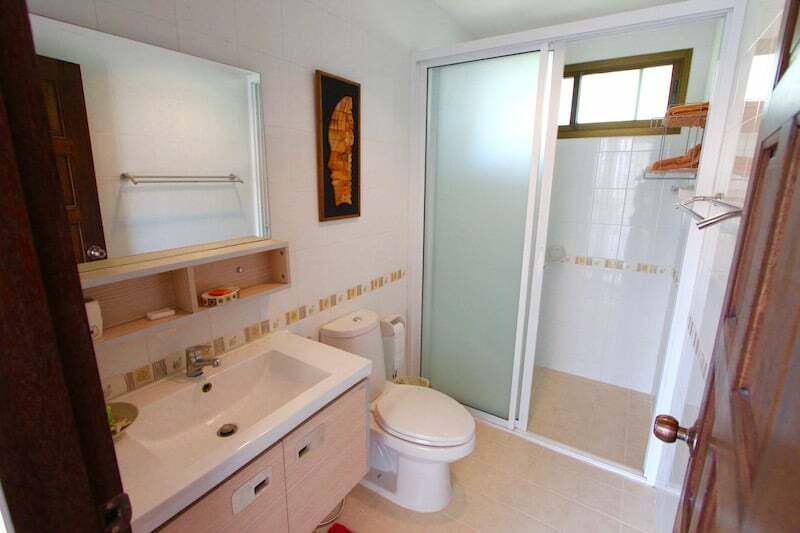 There is an additional bathroom upstairs for the 2 guest bedrooms. 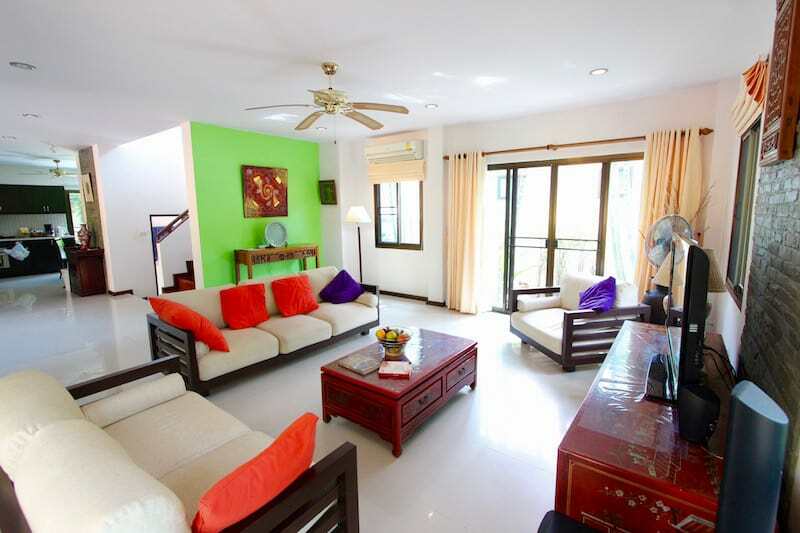 The downstairs area has a nice living room set with lounge furniture, a TV and nice decorations. 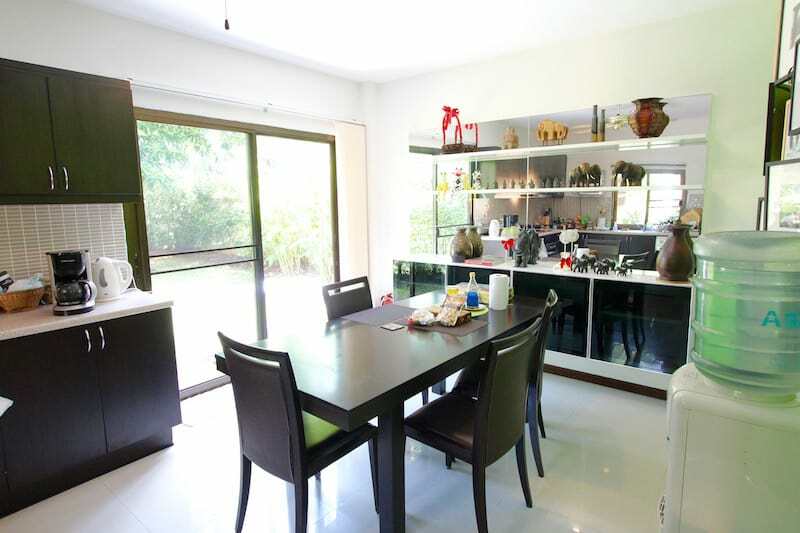 There is an area that can be used as a separate dining room. 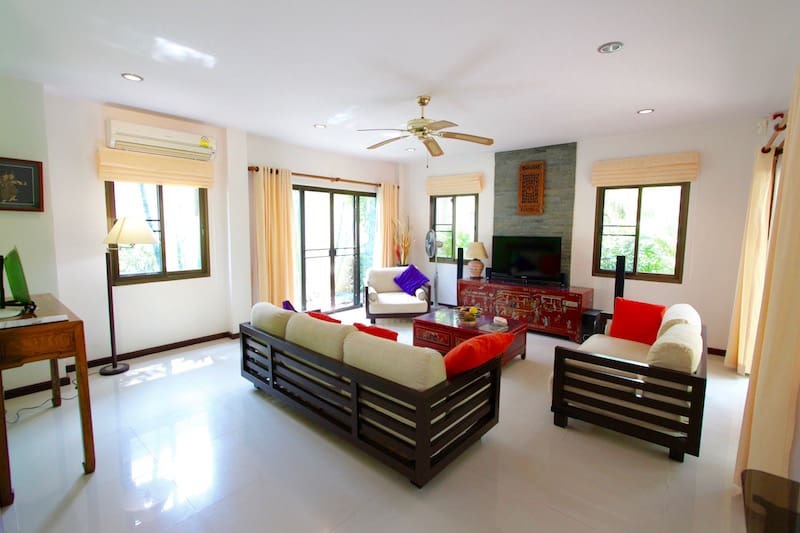 The kitchen has all necessary cooking equipment and appliances, including a stove, oven, microwave and full size refrigerator. 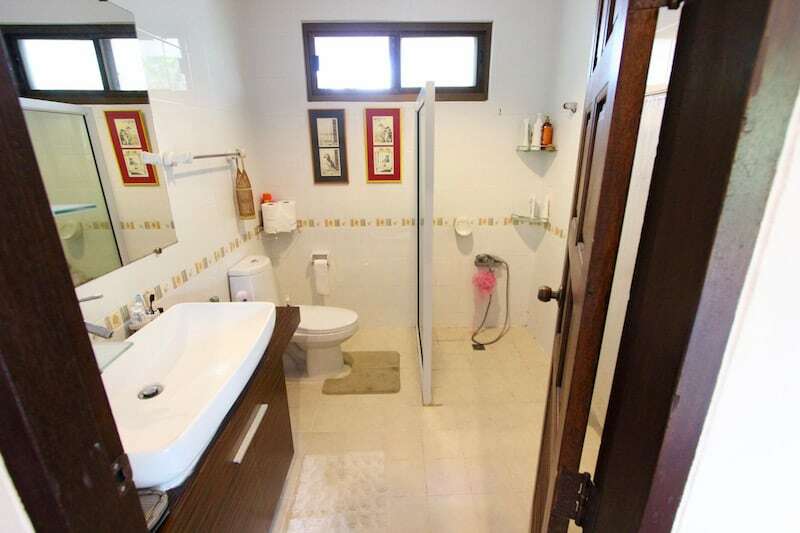 There is a downstairs toilet for guests, and an efficient storage room under the stairs. 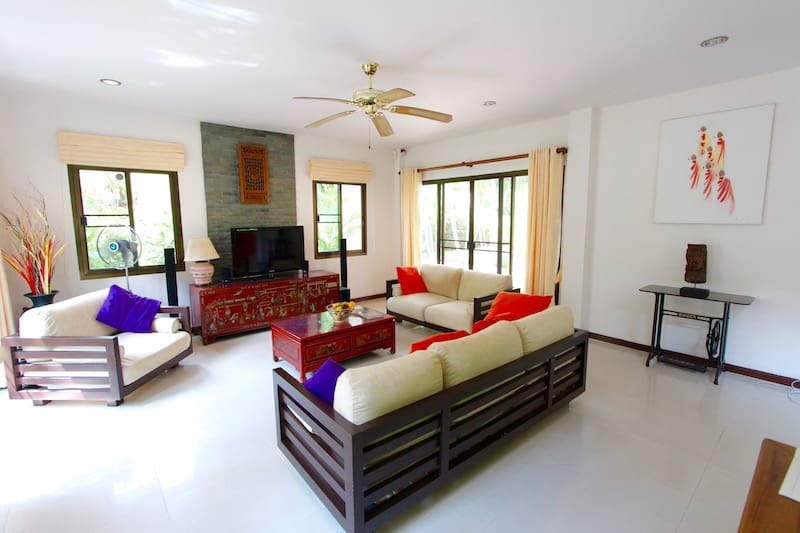 The home is available only for short and medium term rentals (no more than 3-6 months).